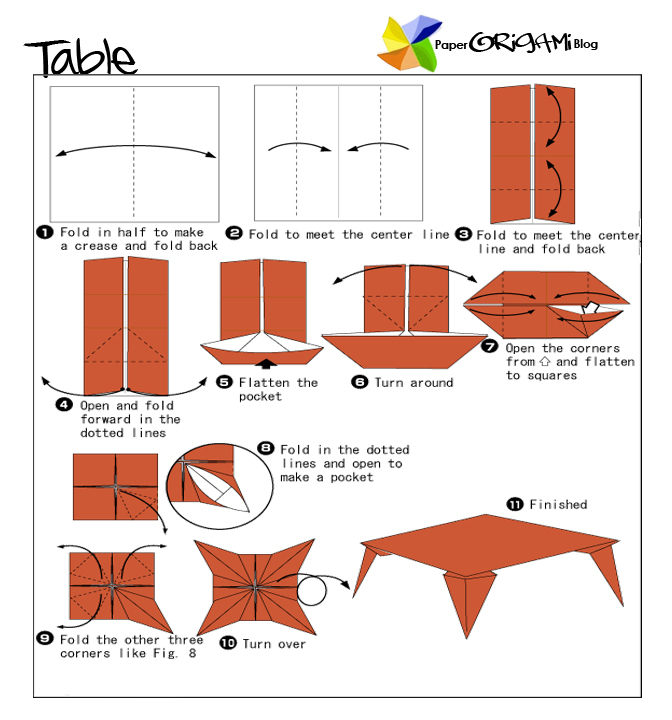 Traditional Origami: Table In relational databases and flat file databases, a table is a set of data elements (values) that is organized using a model of vertical columns (which are identified by their name) and horizontal rows. A table has a specified number of columns, but can have any number of rows. Each row is identified by the values appearing in a particular column subset which has been identified as a candidate key. Table is another term for relations; although there is the difference in that a table is usually a multi-set (bag) of rows whereas a relation is a set and does not allow duplicates. Besides the actual data rows, tables generally have associated with them some meta-information, such as constraints on the table or on the values within particular columns.